The buildings of Hall are set well back from the road, but nonetheless, it is one of the easiest wineries to spot on Highway 29. 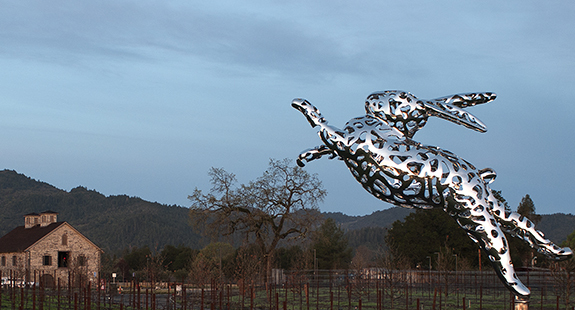 In the grounds, there is a thirty-five-foot high sculpture of a rabbit in mid-jump. It is the work of English artist Lawrence Argent and is just one of many pieces of modern art throughout the grounds and facilities of Hall. California Girl comments: For those of you who travel through Sacramento Airport, the red rabbit sculpture which is located in the main terminal was made by the same artist. I have seen many posts from Hall calling their rabbit Bunny Foo Foo. I always think of the nursery song when I see the iconic rabbit sculpture. 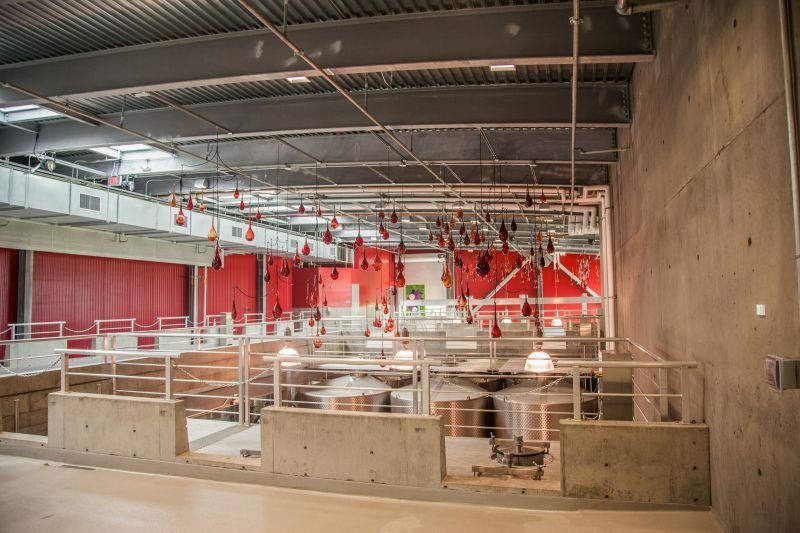 The production facilities and tasting room are modern buildings; both having opened within the last six years. This in sharp contrast to the first building on the site, which is still in use, and was built in 1873. 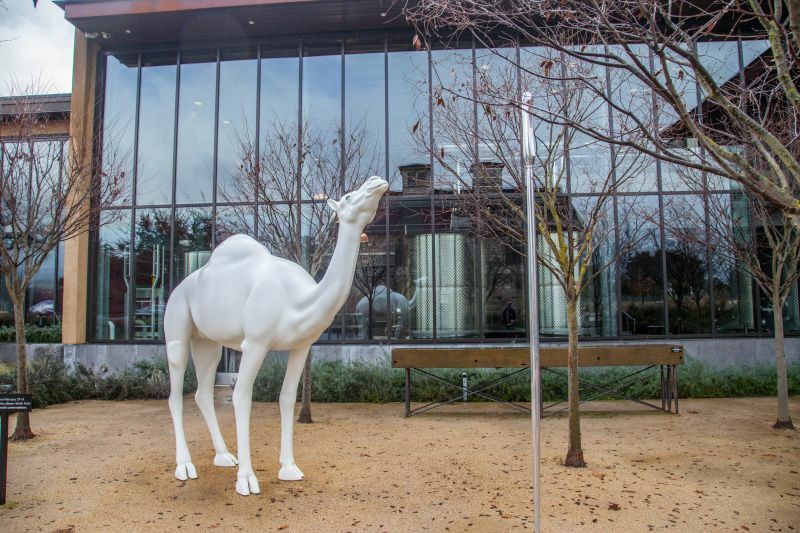 In the courtyard outside is another striking sculpture; this one of a camel and a sewing needle. California Girl comments: One can’t help but notice the care Hall has taken to make every single space and part of their experience beautiful. 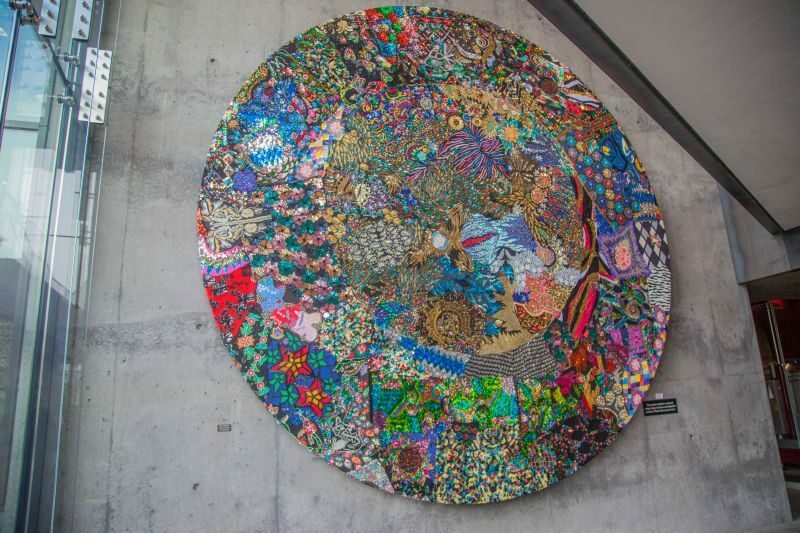 They are true art lovers who believe that art has a place everywhere. It is amazing, and it is well worth the visit just to experience their collection. We were taken on a tour of the winery, starting with a glass of Hall Sauvignon Blanc; a light crisp wine with which to begin our day. Our guide explained that the winery had been purchased by Kathryn Hall, a Bay Area native, and her husband Craig who was a partial owner of The Dallas Cowboys. During the middle of the Twentieth Century, the original 1873 building has been used as a wine co-operative. We had a barrel tasting of the 2014 Kathryn Hall Cabernet Sauvignon. The wine still had seven more months to mature in the barrel, but already was extremely drinkable. California Girl comments: Usually at barrel tastings you want to just spit out the too young wine. It is usually so full of tannins and just stuff going on it isn’t a fabulous sip. This was one of the few tastings right from the barrel I thought WOW when drinking it. We walked through the extensive grounds. Our host showed us the herb gardens, which are used to provide ingredients for the regular “Taste of Hall” events at which different chefs provide food pairing for Hall wines. We strolled past a pizza oven, lots of seats and tables, and more pieces of art. This part of the tour was quicker than would usually be the case, as it was a cold day and rain threatened. 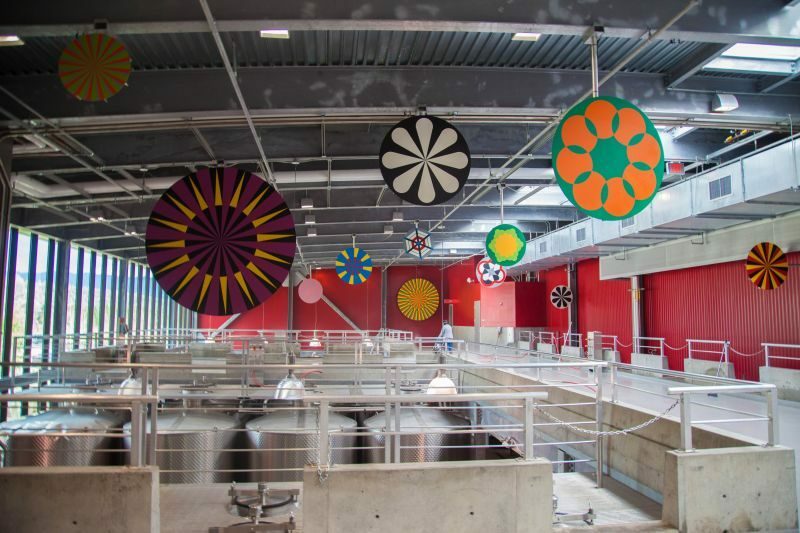 We were taken into the tank room which despite being part of a working winery was also decorated with colourful artwork. Our host explained that the entire process of making the wine up to and including bottling happens on site. Hall produces about one-hundred thousand cases of wine a year. The tasting area feels like an extension of the outside; an illusion created by floor to ceiling glass and a high roof. 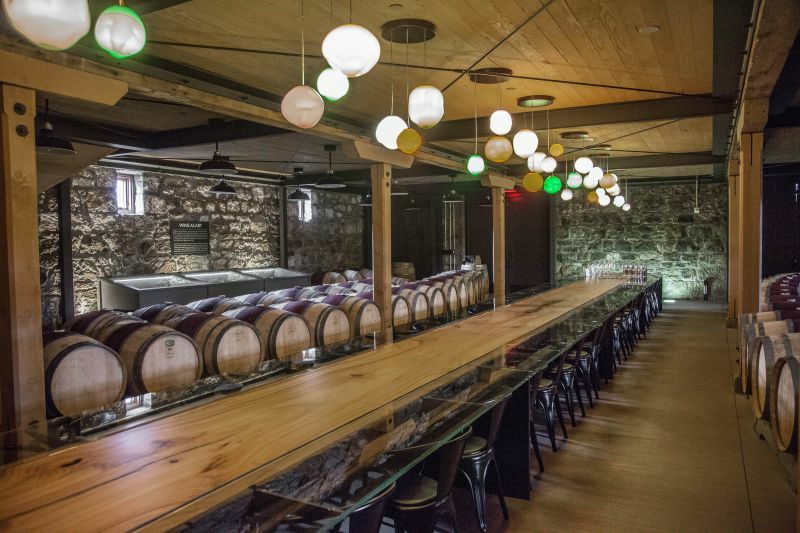 Our small group was taken into a private room to taste; a space illuminated by daylight. There were a set of glasses on the table at each seat; one per wine that we were going to taste. California Girl comments: Not only was our host for the day charming and fun, but it was here we met a group of sisters who were tasting with us. What a fun group of ladies! Several of them have become fans of our blog. The combination of gorgeous space, a gracious host, fun ladies and amazing wines made the tasting fantastic! 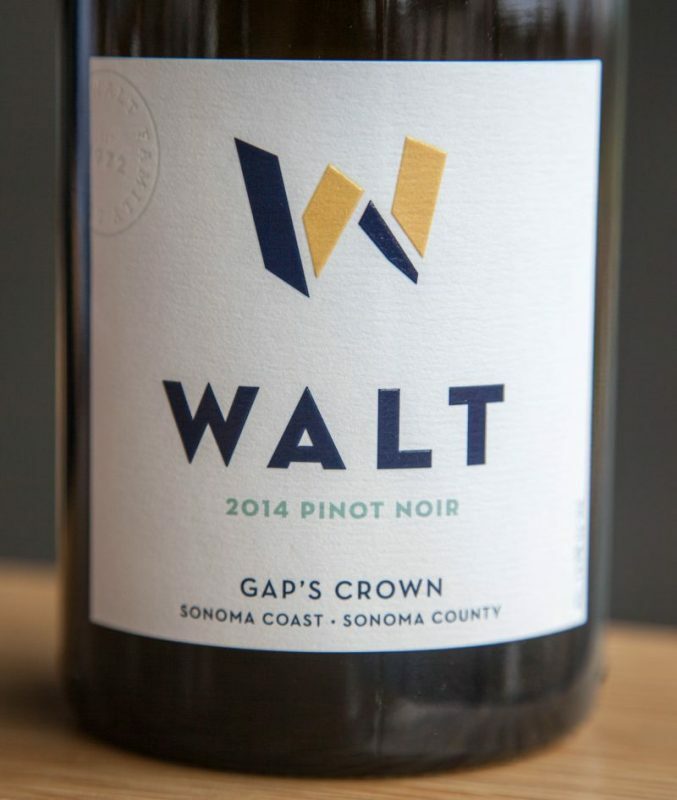 We started with the Walt Gap’s Crown Sonoma Pinot Noir ($75). The aroma was full and one that I was reluctant to leave; a hearty mix of coffee, red currant, and pepper. Taking a sip brought with it a full and rich mouthfeel. The taste was a complex fruit mix with raspberry distinct and backed up by lively notes of pepper. The great finish lingered and made this a slow wine to taste as I luxuriated in each part of the experience. California Girl comments: I have to admit, I thought I was going to be disappointed with the wine. 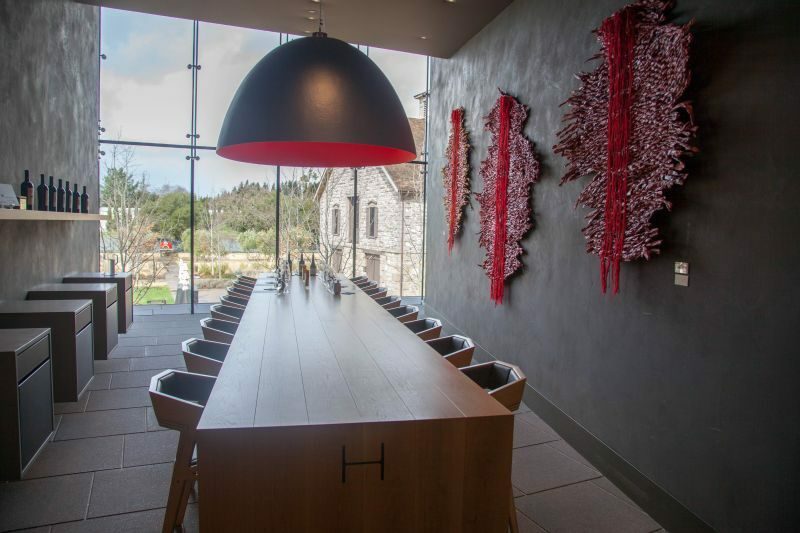 I mean, Hall has so much going for it with its beauty etc., surely the wine had to be gimmicky and commercial right? Oh no. They are the real deal. Every single sip was amazing. It was hard for me to be restrained and not purchase cases of these beautiful wines. California Girl comments: I agree with The Brit on his assessment of the wine. 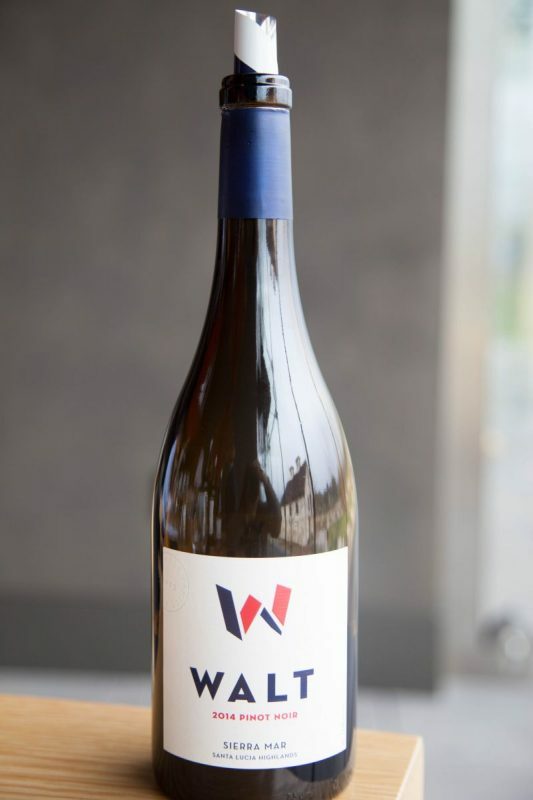 Give it just 5 years, and it will be a wine you will want to hoard for your most special occasions. It has great quality there just waiting to come into itself. I am a fan! 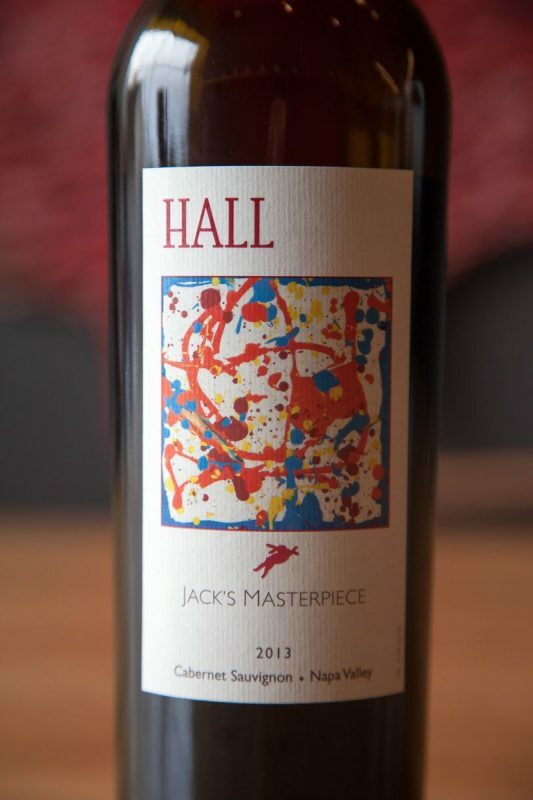 The third wine was the 2013 Jack’s Masterpiece ($125). The name is derived from a piece of artwork made by the winemaker’s son, Jack, at the age of two. The nose was blackberry, espresso, and plum. The taste was of plum with tannins that made a statement but were still restrained enough not to be the dominant force in the finish. California Girl comments: I really loved this wine. For me, the elegance and balance really won me over. I would pair this beauty with a venison stew with red currents or cranberries to bring out all of the flavors. Delicious, full of flavor, and a wine for the true connoisseur. Our host poured us an additional wine, in response to our extremely favorable reaction to the Pinot Noir. This extra one was the 2014 WALT “Sierra Mar” Santa Lucia Highlands Pinot Noir. Yes, I know that for this wine I used all uppercase letters for WALT and I did not do so on for the first Pinot; this is how the winery names them and is not the result of our cat putting his paw on the caps-lock key. The nose on this wine was of raspberry and cedar. The silky soft mouthfeel caressed sweet flavours of raspberry and other fruits. I preferred the earlier Pinot, which was less sweet and a little more complex. California Girl comments: Here is where we disagree. I loved the round fruits of this wine and felt there was plenty going on there to give it the yummy factor. I would love to sit around with this one and a couple of girlfriends for a perfect ladies evening. This wine pairs with good friends and a lot of laughs. It doesn’t take itself too seriously. It just smooth and easy. 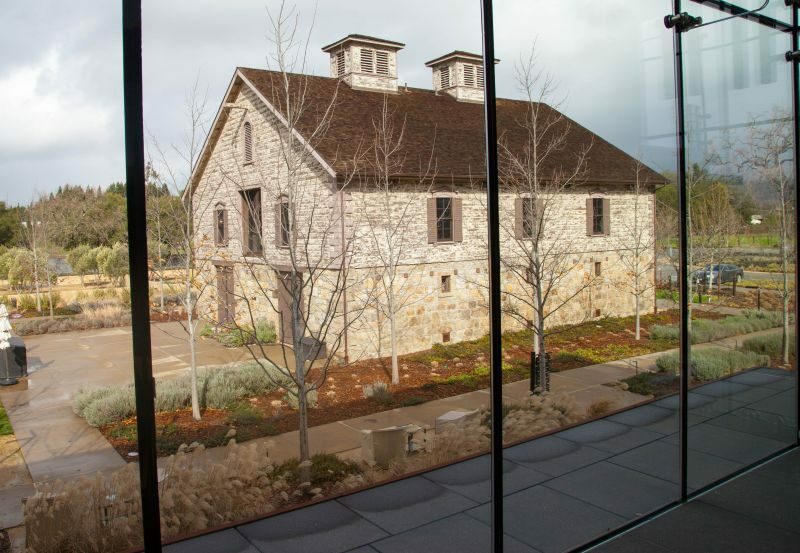 The tour, the beauty of the grounds, the striking artwork, and of course the excellent wine makes Hall a winery well worth visiting. We did the Hallmark tour, which costs $40. Hall offer more luxurious options if you so wish. California Girl comments: I loved this experience all of the way through. Despite the rain on the day we had an amazing time. 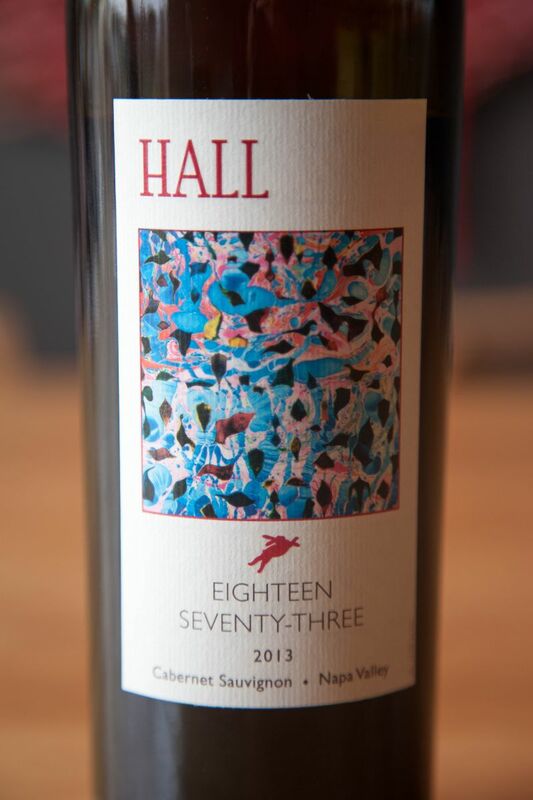 I would love to spend more time learning more about the Hall Wines line up. I would highly recommend you put this place on your MUST VISIT list. Make sure you make reservations well in advance so that you can get in for a seated tasting.